I’ve had some inquiries on the possibility of walk-in customers being able to use credit cards previously used and stored in Cayan’s cloud instead of requiring that the credit card be swiped. There is also the scenario of a walk-in sale being picked up at a later time, like prom boutonnieres and corsages that are going to get paid through a phone call from the parent instead of in person. 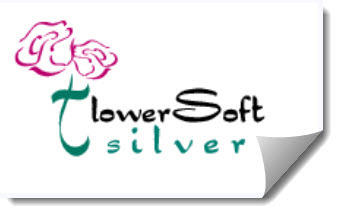 Since the order was originally entered as a walk-in order, when you go to pay it at a later time, flowerSoft is going to want you to swipe the credit card by default. This, however, would be difficult to do when the customer is on the phone wanting to give you the credit card number. Before the Genius came into the picture, switching from swiping the credit card to keying the number manually was not a problem, since Cayan’s web page had an option to do this. However, with the Genius you are not offered this option. After giving this some thought, I’ve decided to provide the option of switching the order type from walk-in to phone when a walk-in order with a pay-on-pickup method of payment or a walk-in order when the customer has credit cards on file with Cayan. This will allow you to select one of the credit cards on file or even enter a new one. In the case of a pay-on-pickup order that is being paid through the phone, the option will come when you try to pay the order via the “Outstanding Cash Orders” menu if you then select credit card as the method of payment. If you answer “No” to this question, flowerSoft will allow you to select the card from those on file or key in the credit card number manually. Hopefully these new options will make it easier to enter a credit card number for walk-in sales when the card is not going to be swiped.